You can then view all active Teammates and all Pending Teammate Invitations. 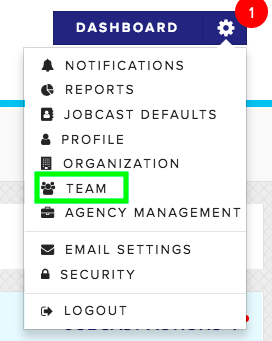 Clicking on the Invite Teammates button will take you to an area where you can invite teammates and designate roles. When inviting new team members you will need their email and the role they will have. Can create JobCasts, view individual reports, sort candidates, mark hires, and invite agencies. It's important to note is that if you are “Seat Holder” than you can only invite additional “Seat Holders”. 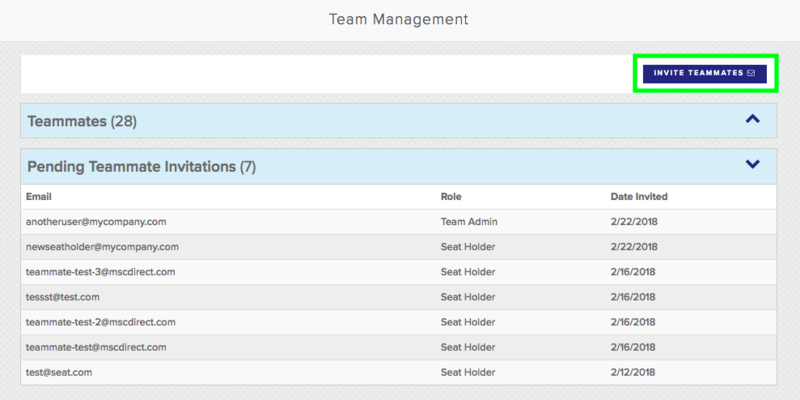 If you are a “Team Admin” you will able to invite “Team Admin's” and seat holders. 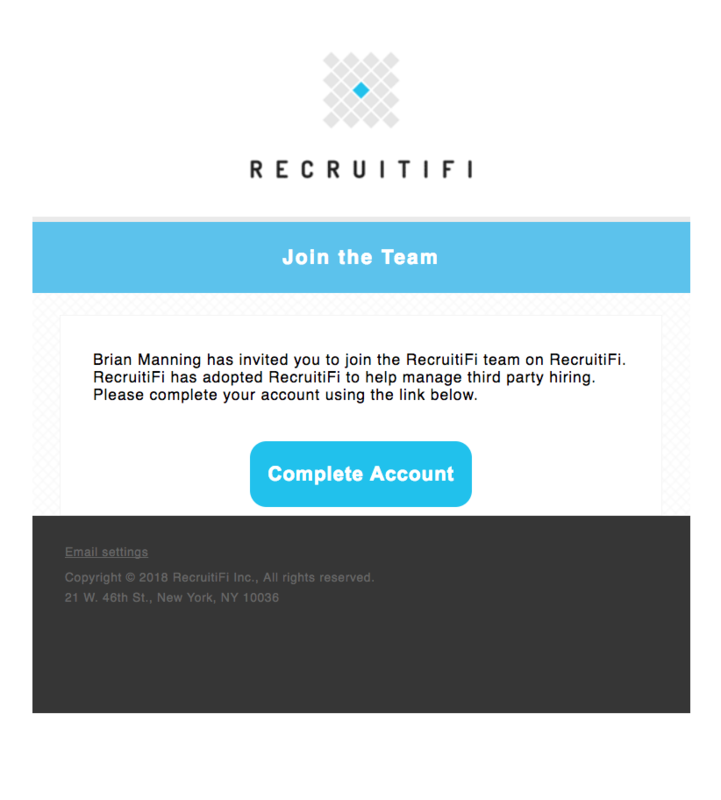 Once you send the invite(s) your teammate will receive an email (as shown below) from support@recruitifi.com that will ask them to complete their account. Tags: team, add team members, add teammates, teammates, teammate, team mate, colleague, invitation, join the team, support@recruitifi.com, add users, seats, free seats, additional seats, additional users, additional teammates.